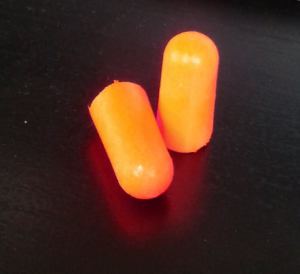 You know you’re in for something different when you’re offered free ear plugs on the way into a movie. Such was the case at the SIFF Film Center for 2045 Carnival Folklore, a Japanese post-apocalyptic future chaos noise film. The screening was accompanied by live music by director Naoki Kato and noise artist T. Mikawa. One hundred years after the end of World War II, all the nuclear reactors in Japan have undergone meltdowns and the resulting sickness has of course been exploited by an evil entity (corporation?). Conformity of citizens is dictated and enforced. As always, there are those who refuse to be repressed, and they fight back with feed back. The mantra “You must Feed Back everything” has a double meaning in the film, as food sources are extremely scarce as a result of the radiation. 2045 Carnival Folklore‘s Bechdel rating: UNDECIDED. There was some verbal interaction between the head nurse of the asylum and one of the patients. And while many of the characters were named, we can’t recall if these characters were, or whether their interaction could be considered a conversation.